Claude Lanzmann’s latest film, The Last of the Unjust (2013), recently opened across the U.S., and critics have praised it as yet another significant contribution to the celebrated ensemble of works—including, of course, his 1985 masterpiece, Shoah—he has made about the genocide of European Jewry. The film is an edited version of the fourteen hours of interviews he conducted in 1975 with his first subject, the beginning of what would become his decade-long effort to make Shoah. His continuing research and recorded discussions with survivors, perpetrators, and bystanders over the next seven or eight years eventually led him to focus on aspects of the mass slaughter that he had not touched on in his earliest interviews. He therefore decided not to include any of the footage that is the basis for The Last of the Unjust in the final version of Shoah. Still, the belated release of this material is fascinating, not only for its own sake but also for the way in which the film’s last scene develops strategies that prefigure those the filmmaker would use in several of the most important episodes of his celebrated work. 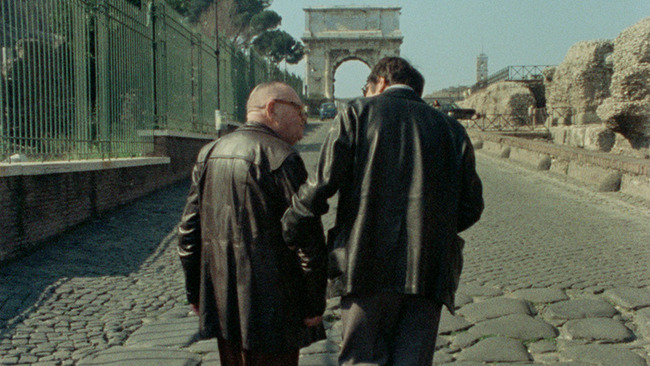 In this scene, Lanzmann is walking through streets near the Roman Forum with Benjamin Murmelstein, the seventy-year-old former rabbi from Vienna who served as the last “Jewish Elder” (Judenälteste, in Nazi parlance) of the ghetto camp at Terezín, Czechoslovakia. In the distance behind the two men looms the Arch of Titus, famous for its sculpted paean to the booty Roman legions brought back to the capital after they crushed the Jewish revolt in Palestine and sacked Jerusalem’s Second Temple in 70 A.D. This final stroll culminated a week of animated conversations, punctuated by Murmelstein’s adroit repartees to Lanzmann’s skeptical questions and his fascinating disclosures about the “demonic” (not, pace Hannah Arendt, the “banal”) Adolf Eichmann Murmelstein knew better than anyone. 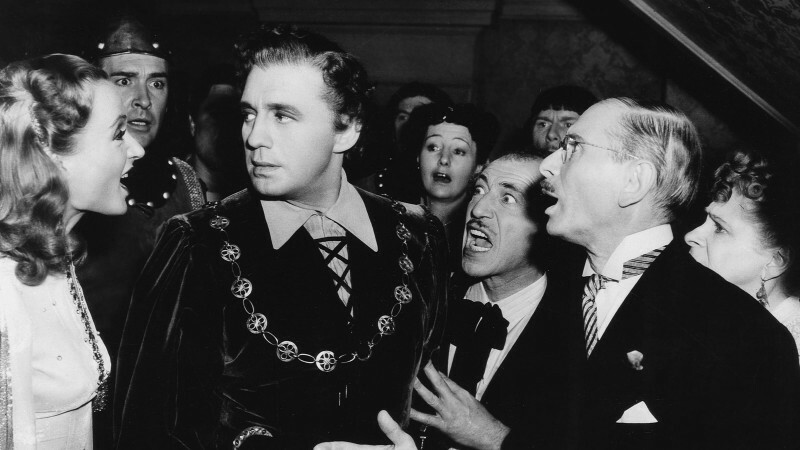 In these last minutes together, Murmelstein spiritedly defends himself against the grave charge of criminal collaboration with the Nazis, his tone a characteristic mix of exasperation, humor, and sarcasm. In one of the striking metaphors that he seems always to have had ready to hand, Murmelstein evokes his awkward historical fate as the only member of a Jewish Council (Judenrat) to have survived the war by likening himself to a dinosaur sitting in the middle of a modern highway blocking the flow of traffic. It is a situation that, he notes with a certain melodramatic melancholy, will end only with his passing from the scene. Lanzmann listens intently as they continue to approach the camera. And just as the pair looms into the wide angle lens that distorts their features, something unexpected occurs. Lanzmann pointedly takes Murmelstein’s arm and turns him around in the direction of the Arch. As they amble away, moving out of earshot, Lanzmann puts his arm around the older man’s shoulders. This affectionate gesture comes as something of a surprise after some of their tense exchanges; it signals Lanzmann’s sympathy and support for a proud, combative man who had become a virtual pariah in the Jewish community since the war. The implicit endorsement is a touching moment, to be sure, but it is also something more than that: it offers a glimpse of a formative stage of Lanzmann’s Holocaust project, which would eventually make him famous and become his lasting contribution to both the history of the Holocaust and the cinema. On the level of content, Murmelstein is only the first of the many historic outcasts whose testimony Lanzmann would seek in the ensuing years. He would eventually locate survivors who had been forced to perform unconscionable, demoralizing actions while in captivity, albeit at a different level of responsibility than Murmelstein. They were the ones who assisted in the extermination of hundreds, often thousands, of Jews each day within hours of their arrival at the notorious death camps of Treblinka, Sobibór, Chełmno, and Auschwitz-Birkenau. They were the ones who cut the hair of women minutes before they were gassed. They pried gold from the teeth of dead Jews. They shoved the victims’ bodies into the crematoria ovens or onto massive open-air pyres, stoked the fires, ground up the bones of incinerated victims, and finally scattered their ashes into the ponds and rivers of Poland. Such was the work of the Sonderkommandos. That any who had performed such actions could emerge sane from this Gehenna was a miracle. More important for Lanzmann was the way in which some in the Jewish community had unfairly accused men like Abraham Bomba, Filip Müller, and Simon Srebnik of having made a morally reprehensible pact with the SS to preserve their own lives by collaborating in the industrialized mass slaughter. Many Jewish intellectuals—who should have known better—echoed these condemnations. As late as 1963, after Eichmann had been convicted and hung, Hannah Arendt summarily labeled the members of the Sonderkommandos as “criminals.” In The Drowned and the Saved, published in 1986, the year after Shoah was released, even Primo Levi, always inclined to sympathize with those who had experienced so much humiliation for so many months and years, remarked that those who had worked in the special squads could not be trusted to tell the truth about what they had been forced to do and their motives. These survivors, he wrote, would more likely utter “a lament, a curse, an expiation, an attempt to justify and rehabilitate oneself: a liberating outburst rather than a Medusa-faced truth.” As a result of such characterizations and condemnations, after a few of these unfortunates testified at various early trials of Nazi criminals, most retreated into anonymity for years, haunted by what they had seen and done, and understandably fearful of attempts at retribution wrongly directed at them. Lanzmann became one of the first students of the Holocaust to dare a radical reevaluation of the character and role of these individuals. He audaciously decided to make these pariahs into his project’s most authoritative witnesses. “With regard to the Jewish interviewees, casting was very compelling to me,” he reflected recently in an interview with the French film critic Jean-Michel Frodon. “I wanted only men from the special commandos . . . They were the only witnesses to the extermination of their people. They were present in the last stages, at the last station of the process of destruction, inside the gas chambers and the crematoria . . . They are literally the spokespersons of the dead.” Lanzmann did not judge them prematurely, and dared to treat them as the victims they certainly were. As a result, they did not offer excuses but opened up to him, their words and body language providing intricate, insightful, terrifying accounts that spare no one—not the Polish bystanders, certainly not the German guards, not the Jewish camp administrators, not even themselves. One of Lanzmann’s great achievements in Shoah was to allow them to emerge—in ways similar to Murmelstein in The Last of the Unjust—from the shadows of history and step onto a wider public stage, where their moral stature could be redeemed. Not the least result of this generosity are many of the most moving moments of the past half century of world cinema. Murmelstein, of course, approached the issue of collaboration from his entirely different position as a member of the Jewish leadership forced to make a range of life-and-death decisions that were, as the literary scholar Lawrence Langer formulated it, “choiceless choices.” He denied rations to those who had not been examined for typhus. He refused to change the names on the Germans’ deportee lists, to achieve some kind of fairness. These harsh measures were imposed to avoid massive German reprisals and allow those who remained in Terezín to continue to exist, even though that meant that the suffering of the famished, diseased, terrified inmates would also go on. A life he was able to spare meant another would almost certainly be sacrificed. And for the role he had played—not, in all candor, without a certain relish on his part—Murmelstein stood accused of murder, not only by survivors of Terezín but also by prominent intellectuals like Gershom Scholem, the eminent scholar of Jewish mysticism, who was also Lanzmann’s friend. In fact, his closeness to those who condemned Murmelstein made Lanzmann’s conspicuous gesture of support very much against the spirit of the age. But what makes this final scene with Murmelstein in Rome so compelling and interesting for admirers of Shoah is the way Lanzmann renders it as part of a complex, emblematic image whose form itself encourages viewers’ emotional engagement, provokes their reflection, and invites their interpretation. The setting, the composition, the staging, the give and take of the conversation, and the facial expressions and gestures create a space that insists on its own constructedness; that is, what we see is not meant to be read as a simple record of an event, but instead as a work of art. Lanzmann’s formal dynamics constitute what might best be thought of as a cinematic theater of and for memory, in which the convolutions of Murmelstein’s recollections and opinions play out in front of a symbolic locus classicus of a prior disaster of Jewish history, a catastrophe that thrust many into exile in the diaspora, and anticipated their millennial persecution in Christian Europe culminating in the Holocaust. Some of the most memorable scenes in Shoah and the methods by which they are achieved are modeled on this scene. Lanzmann has subsequently clarified his working methods many times in the countless interviews he has offered. 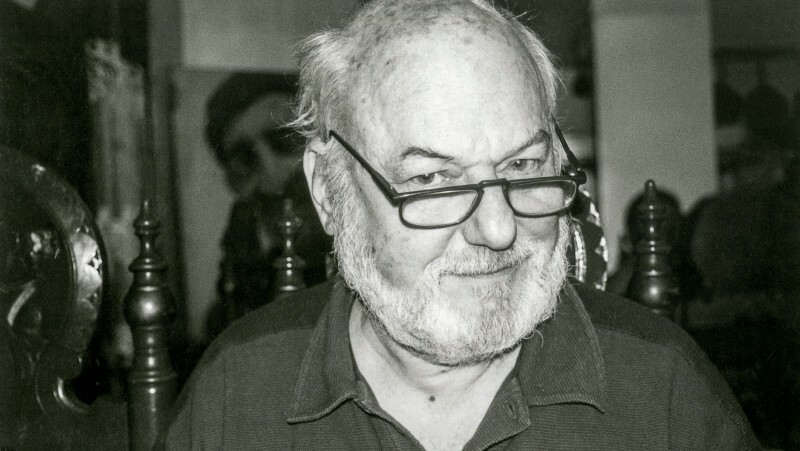 Responding to questions posed by two critics from Cahiers du cinéma after Shoah’s premiere in 1985, he freely acknowledged, “There are a lot of staged scenes in the film. It is not a documentary.” Later in the same interview, he likened those who appear in his film to theatrical characters on a stage. Such statements may seem puzzling at first, but they underscore Lanzmann’s insistence that his film should not be classified as the example of the “talking heads” documentary genre that a superficial viewer of Shoah might think it to be. 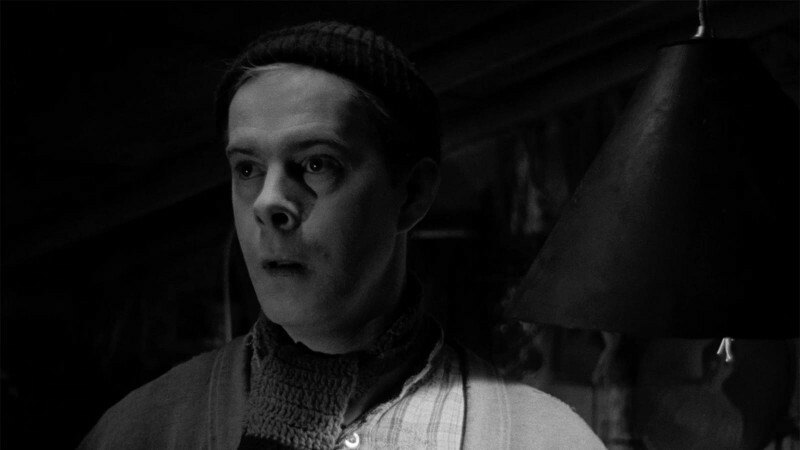 Rather, the strategies he devised became the very foundation of what he called the “fictions of the real” in Shoah, as well as in the shorter films, like A Visitor from the Living (1999), he made from footage shot for but not used in the great work. In order to stimulate their testimony, Lanzmann brought some of his witnesses—Srebnik provides perhaps the best example—back to the very sites where they had suffered. While a child prisoner at Chelmno, Srebnik had been forced to row down the river Ner, singing popular Polish songs or German military ditties while his SS guards cast the ashes of cremated Jews into the current. More than thirty years later, Lanzmann asked him to re-create this painful scene for his camera. As anyone who has seen Shoah knows, the result is haunting. The seemingly straightforward images of the lushly green riverbanks are imbued with an astonishing, almost mythic density as Srebnik, a victim who did, in fact, return from the dead after surviving a shot to the head, is transformed into a modern incarnation of Orpheus crossing the river Styx, calling the dead back to life. Or consider the equally moving barbershop scene in which Bomba struggles to recount his experiences at the very threshold of Treblinka’s gas chambers. 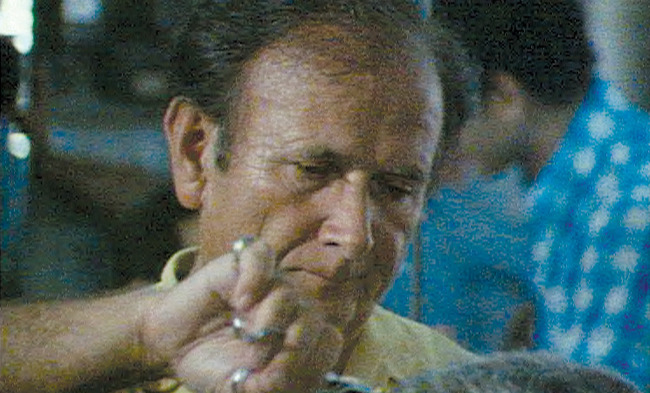 Lanzmann asked Bomba not simply to tell his story but to give a haircut while describing how he was forced to shear the hair off naked women who had only minutes to live. 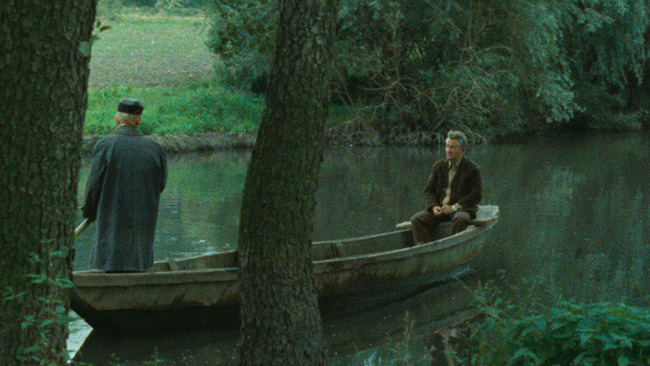 Lanzmann carefully coordinated the setting, its composition and constant, subtle reframing by his cameraman. In a Tel Aviv barbershop so far removed from wartime Poland, Lanzmann’s camera at times reflects, at others refracts, his “character,” Bomba, dressed in a yellow smock with an emblem that astonishingly suggests a camp uniform marked with the Star of David. Lanzmann uses the facing mirrors that line the shop walls, creating complex, intersecting, visually ambiguous spaces that destabilize the representation. These images cannot be regarded as mere records of an event but, as it were, as reflections that provoke reflection. Bomba’s movements, in close concert with the subtly shifting camera that repositions his body against its reflections, are intermittent, broken by the ebb and flow of his speech, while around him lurk partial views of the other patrons who sit waiting quietly for their turn. And there is a stunning final detail: in the illusory depths of this complex of images, an attentive viewer can perceive an advertising poster picturing a woman, hair cropped short, who makes the women whose hair Bomba cut uncannily, palpably present. Such finely crafted imagery brings to life the invisible spectral presences that haunt Bomba’s—and, after seeing it, our—memories. Lanzmann wished precisely to provoke the memories of those who had silently borne their weight for so long. As important, he sought to etch deeply in viewers’ perceptions a mass of material and emotional facts whose physical traces had been deliberately effaced by the Nazis. He would go on to film the sites of the mass murders themselves, which had become what he has called non-lieux de mémoire, non-sites of memory. They, too, could not be rendered in simple mimetic terms. They had to be revived for our perception by summoning them up from the disembodied words of survivors and images of the empty landscapes where extermination camps once stood. He has likened himself to an archaeologist who excavated such spaces with his hovering, waywardly moving camera until at least their dimensions and topography had come clear. Conjuring images resonant with memories from a green field, a forest, a railroad siding, or a face in tears became the basis Lanzmann sought and realized to make vividly present the truth of an unspeakable disaster. Stuart Liebman is an emeritus professor in the Film Studies, Art History, and Theater programs at the CUNY Graduate Center. 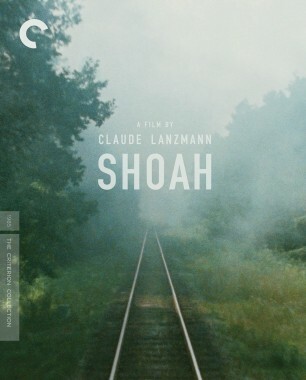 Claude Lanzmann’s Shoah: Key Essays, which he edited, was published by Oxford University Press in 2007.